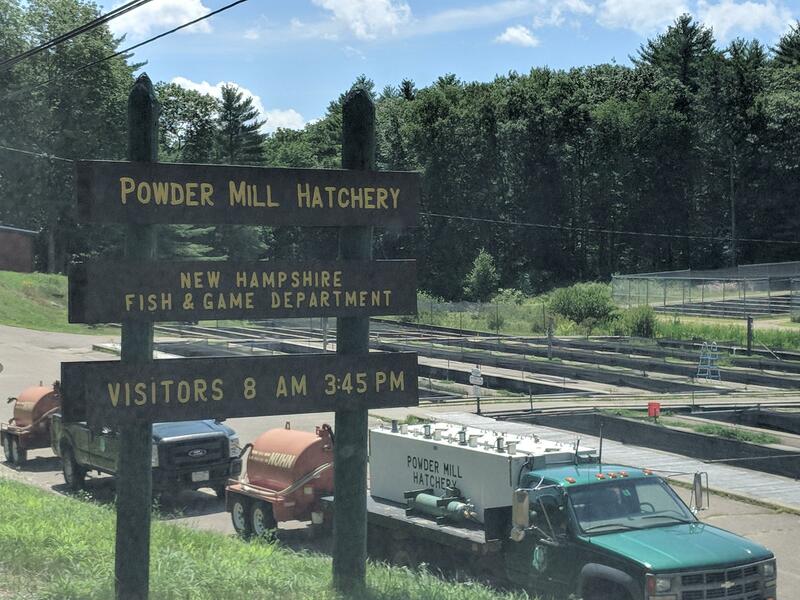 The Conservation Law Foundation alleges the state's Powder Mill Fish Hatchery is exceeding its federal permits for nutrient discharge into the Merrymeeting River. Fish & Game denies the allegations. State lawmakers are asking questions about a pending pollution lawsuit in the Lakes Region. They'll hold a public meeting in New Durham Thursday to discuss allegations against the state's largest fish hatchery. The Conservation Law Foundation is preparing to sue the state Fish & Game Department on behalf of local residents. They say the Powder Mill Fish Hatchery is discharging too much fish waste into the Merrymeeting River, causing harmful algae blooms. Fish & Game denies the allegations. At Thursday's meeting, officials will discuss the hatchery's permits and try to figure out what's causing the problem. Local select board members and state legislators are set to attend, along with staff from the governor's office and the Environmental Protection Agency. New Hampshire’s Department of Fish & Game is facing a potential lawsuit over water pollution from its largest fish hatchery. The Conservation Law Foundation told the state Thursday it plans to file a Clean Water Act lawsuit this fall, unless the state begins working to fix the alleged problems within 60 days. The Powder Mill hatchery in New Durham grows trout and salmon to stock state fishing areas, and it’s expanded in the past decade or so. A team of researchers is sampling lakes across the Northeast this week as part of efforts to better understand what’s causing cyanobacteria blooms. The blooms have become common in other parts of the country, including the Midwest, and are starting to pop up locally in New Hampshire and surrounding states. Scientists are unsure what’s driving the change. New Hampshire schools have until next summer to get in compliance with the state’s new lead testing law. But advocates hope schools won’t wait to begin the process.